With the lift, we go to the last floor, the fourth. The apartment is full of air and light, with Air conditioning. The sleeping rooms are two. The first one with a large double bed, table, piano and the splendid view of the historic city. The second rich of colours and sky has two single beds, or they me be united in a double bed. Living space, with table and chairs and kitchen for preparing basic meals. To live in the oldest part of Rome permits the best services: a safe situation in the night for the presence of the Central Police, all the buses and tubes that you wish, taxi location at 30 meters, the near supermarket open until 24.00 hours. The little streets of Monti are lovely for activities and real Roman life; you are immersed in the beautiful, charming everyday life of Rome. The exclusive shopping area around are Via Merulana, and Via Nazionale and the beautiful garden of Colle Oppio Colosseo is just 50 meters near. The near Piazza Santa Maria Maggiore is also home to 2 favourite bars, and they offer the best coffee in Rome. Disco for music and dancing are also in the Piazza and in the street Via San Martino ai Monti. Roman born I find Rome one of the more beautiful city. I like especially the places nearby Stazione Termini in Rome, I love the Archeological Museum of Piazza dei Cinquecento and the gardens around, Piazza di Spagna very near. The city needs so many energies that a home place: beautiful, friendly, comfortable may offer only quiet times for organizing the next adventure day. Large double sleeping room, window with a view is perfect for two. A second sleeping room is for two-three. Little but lovely single bedroom. Living with space for kitchen. Location: two blocks from the Basilica of Santa Maria Maggiore, about 15 min walk from the Colosseum, about 1 mile from Trevi fountain. At least 30 restaurants within a 2 to 4 block radius of the apartment, along with several grocery stores. A safe place is walking at all hours of the day and night. The taxi's to the airport are capped at 48 euros and are very prompt when scheduled. Very conveniently placed, full of character, friendly welcome. The flat was very nice and spacious with a beautiful view from the main bedroom. We were given a friendly welcome and the hosts were prepared to answer any questions we had throughout our stay, as we stayed in touch, which was helpful. However there wasn't much storage space for our things and although a coffee maker was there it didn't work with the induction cooker and there wasn't a kettle. During our stay we experienced issues with the water pressure in the bathroom. The flat is so beautiful so if these issues were addressed we could give it 4 stars. 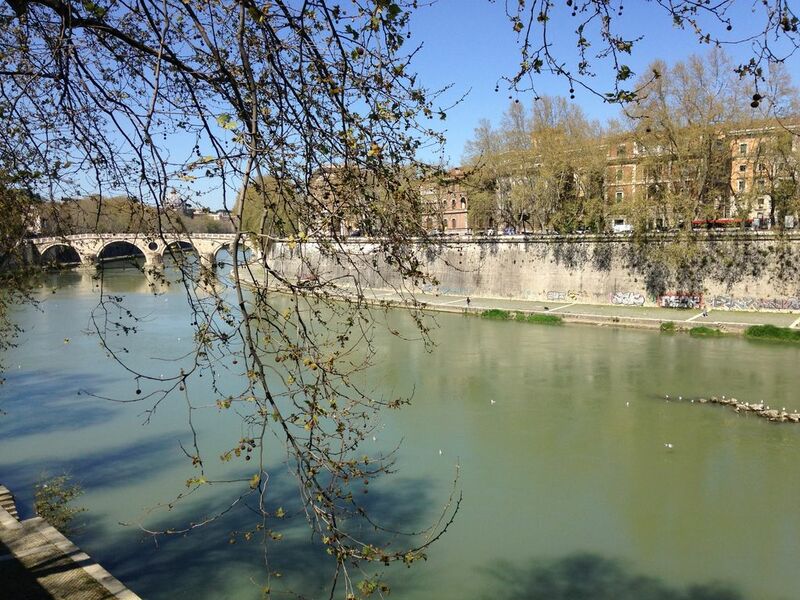 It is also perfectly located in a very nice part of Rome, close to both the Colosseum and termini. Very nice location, comfortable, great restaurant right across the street. Great home away!! Love the apartment with two nice bedrooms great views frim all the windows!! Location location location!!! Near train termini also great restaurants and old churches. Taxi is two blocks away 24 hours to go to the airport. Thank you so much for your review Sylvia! 5th floor elevator building, very quiet. Close to Termini, good restaurants. Sleeps 5, very clean. I would highly recommend this apartment. Owner was responsive to our needs. Not promised but owner changed sheets and towels twice in seven days. Lo mejor es la ubicación y la tranquilidad del ático. El apartamento está de origen y el baño no está renovado. Hemos estado comodos y la atención de Paola, rápida y eficiente. we enjoy to see you soon again. Is planned for a short time a second bathroom. Piazza di Santa Maria Maggiore. From Piazza di Santa Maria Maggiore take Via Merulana. on the right side, is Via San Martino ai Monti. It is 2 blocks from all the Hop-on/Hop-off buses (there are 4 or 5 companies in Rome) which is right by the Basilica of Santa Maria Maggiore, about 15 min walk from the Colosseum, about 1 mile from Trevi fountain and in a very good area. There are at least 30 restaurants within a 2 to 4 block radius of the apartment, along with several grocery stores. In Rome is to pay in cash a City tax: 3,50 Euro for each day for each person.